I do like to eat cheese and I never pass up the opportunity for a little cheese tasting. But this isn’t about my love for cheese; it’s about my kids. They may not be blue cheese lovers, but they go beyond American cheese (in fact I don’t even buy that) for cheddar, brie, pecorino romano, manchego and the like. I will admit, though, that they turned their noses at the Gruyere I ate tonight– too smelly for them. But I digress. They like cheese and what I recently discovered is that they will eat foods previously deemed inedible if I add cheese to it. Take humble cauliflower. It is delicious simply roasted but my kids won’t eat it steamed, roasted, sauteed or any other way I have tried to prepare it. I saw some beautifully colored heads of cauliflower at the store recently and bought one thinking maybe the orange color would convince them it was worth eating. My ulterior motive was that I wanted cauliflower for dinner. I do not like preparing extra dishes for one meal so I hope my children eat what I cook. I really hope they eat the vegetable I serve. I applied the same principle but in a different manner a few nights later. I wanted sweet potatoes as a side for the fish I was serving for dinner. Same story: I like sweet potatoes; no one else in my household does. Add in the cheese and the sweet potatoes vanished! 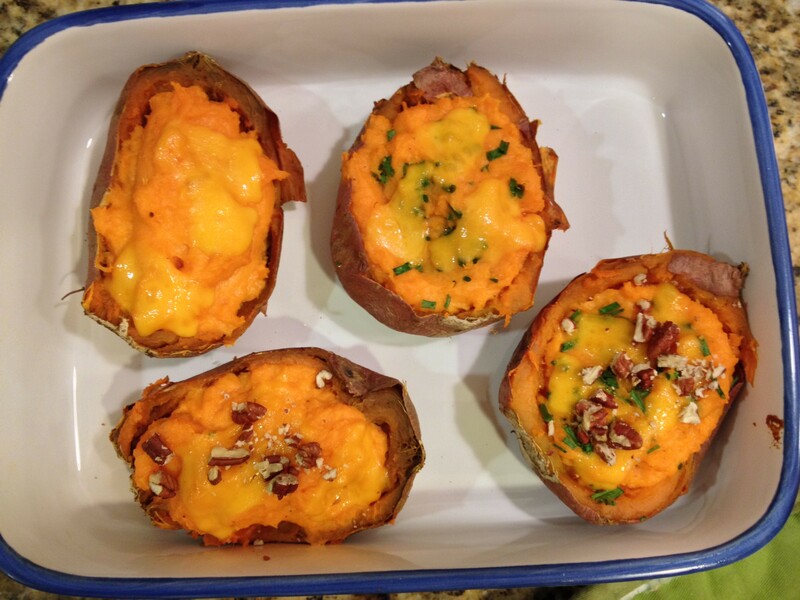 I prepared twice baked sweet potatoes with a choice of mix-ins. This was so easy it doesn’t require a recipe. I baked two large sweet potatoes and then cut them in half. I hollowed out each half, putting the potato in a bowl. I added about a quarter cup each of sour cream and cheddar cheese. Add salt and pepper and mix. Fill 2 halves. I mixed chopped chives into the remaining potato mixture (I didn’t want to push my luck by adding chives to the kids’ potatoes) and then filled the last 2 skins. I tossed a little extra grated cheese onto each half and baked them until the potatoes were warm. I served them with the option of topping with chopped pecans. My children and husband loved them. I even got a “Sweet potato is good” from my son. No higher praise than that. I should have made more. I make this sauce with skim milk because I always have that in my fridge. It’s not as rich as it could be if made with whole milk, but the cheese adds plenty of richness. You could add another 1/2 cup or so of cheese if you want the sauce extra cheesy. 1. In a small pot over medium heat, melt the butter. Whisk in the flour until smooth. Cook the mixture, whisking often, until it turns light brown, about 5 minutes. 2. Slowly pour in the milk, whisking vigorously as you go. Add salt and pepper. Simmer, whisking occasionally, for about 10 minutes. 3. Remove from heat and mix in grated cheese. Serve immediately. Really want to try the twice baked sweet potatoes. 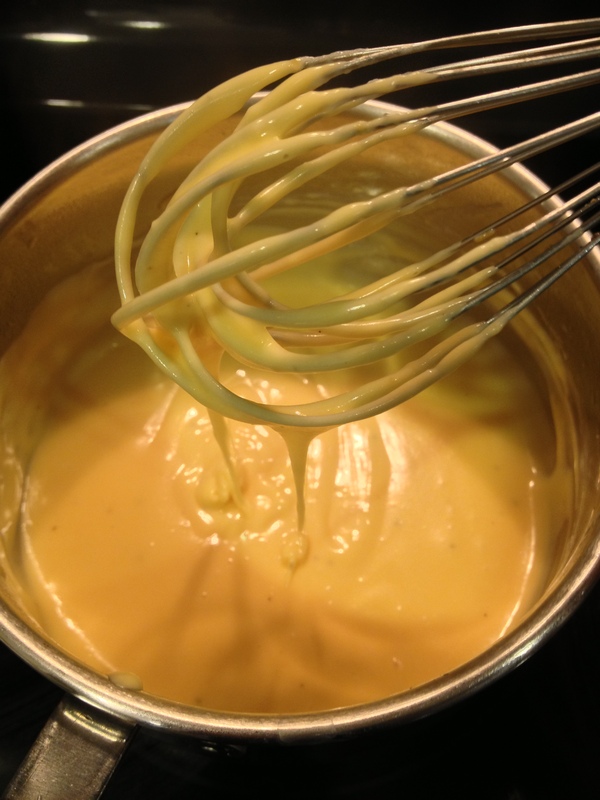 My kids all love cheese sauce too. 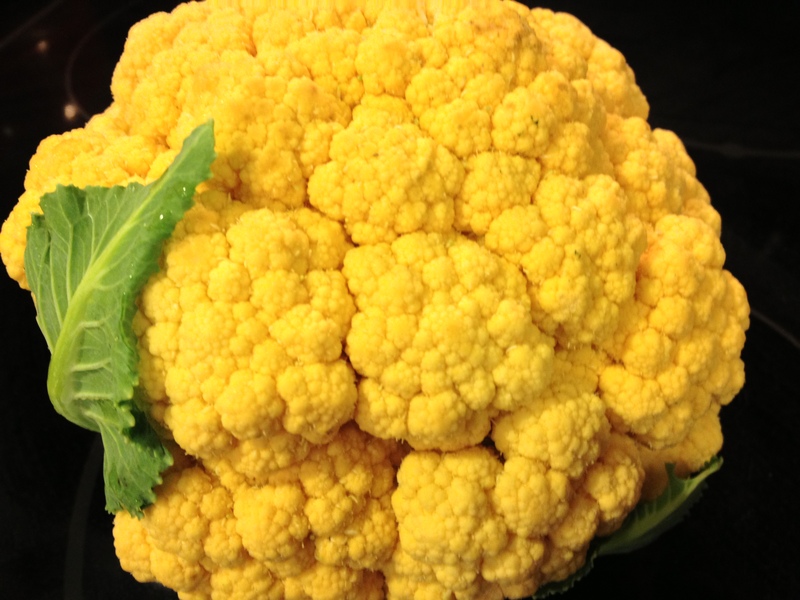 What did you put on the cauliflower before roasting it? Looks delicious. I love you blog. Putting it in my favorites right now!! Thanks Dana. 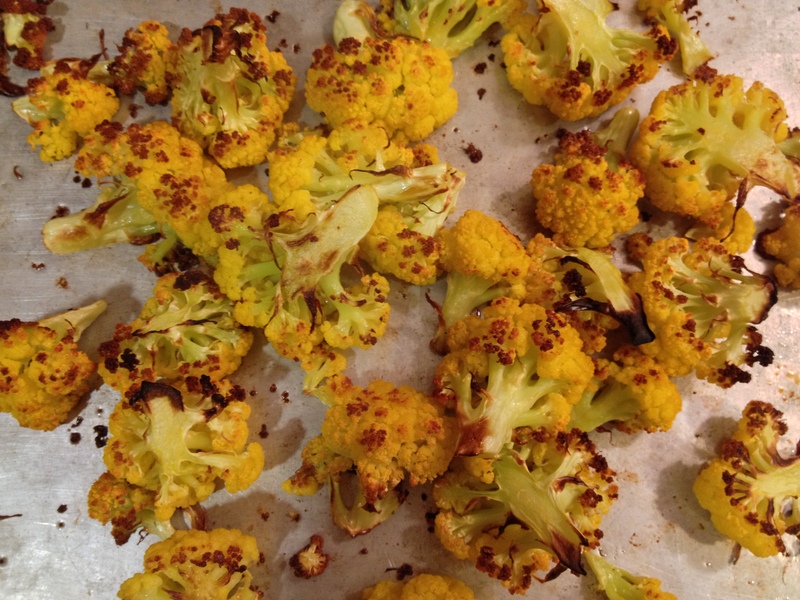 Cauliflower was tossed with olive oil, sprinkled with salt and pepper, and roasted at 425F. It’s delicious. Yum. I have the same problem at my house with sweet potatoes and kids… cheese it is!